Sofi Filtration is happy to share its knowledge on wastewater in the latest issue of Filtration and Separation magazine. 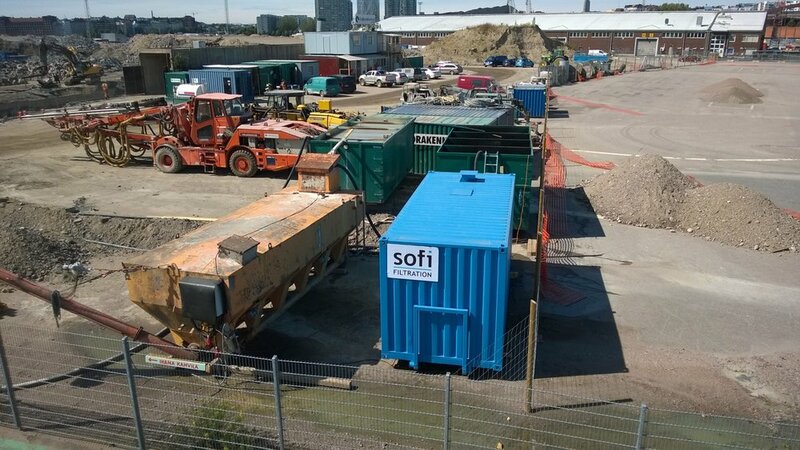 The article, details a tunneling wastewater project in Helsinki, Finland, where settling tanks did not provide sufficient total suspended solids reduction. In addition, the use of coagulants and flocculants to aid settling was not working, so Sofi Filtration was brought in and used its self-cleaning Sofi Filter to solve the problem. "We are proud that our solution could be successfully implemented. The Sofi Filter system is fully automated to operate only when the settling tanks reach a certain level. It requires no chemicals or frequent bag-filter changes and no routine operator attention", said Ville Hakala, Sofi Filtration CEO. These operating features gave the construction company the freedom to focus on the tunneling work and not be distracted by water treatment. You can read the case here. The complete digital edition of Filtration+Separation magazine is free of charge but requires registration. You can register here. We’ve also made a video about the case and you can watch it here. For more information about this news please get in touch with us here.